Due to its well-conceived, ergonomic design, the SmartFit Bypass garden pruner rests comfortably in the hand. A variety of garden jobs can be performed with the tool, since its blade geometry supports not only pruning in areas difficult to access but also contour cutting. The SmartFit blades are made of long-life steel. The upper blade also has a non-stick coating, making pruning almost effortless. 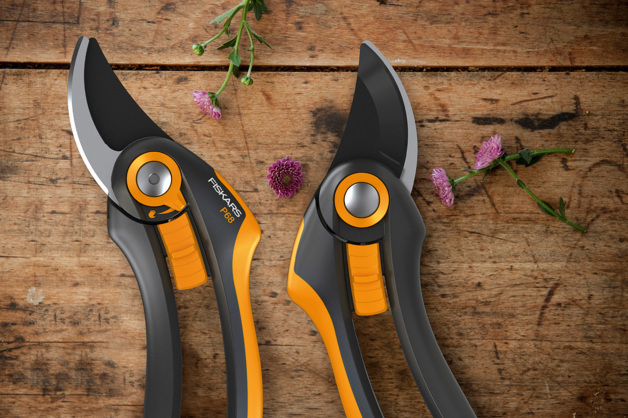 For reasons of safety and comfort, each garden pruner is fitted with a high-quality blade protector in which the garden tool may be nicely stored. Statement by the jury: The design of the SmartFit garden pruner, with a colour concept typical for the manufacturer, focuses on ergonomics and versatility of application.